Bihu in Assam is celebrated thrice throughout the year, although the New Year Bihu is specifically called the Rongali Bihu or the Bohaag Bihu. Bohaag Bihu is celebrated on the first day of the first month of the solar calendar known as Bohaag, which coincides with mid-April as per the Gregorian calendar. 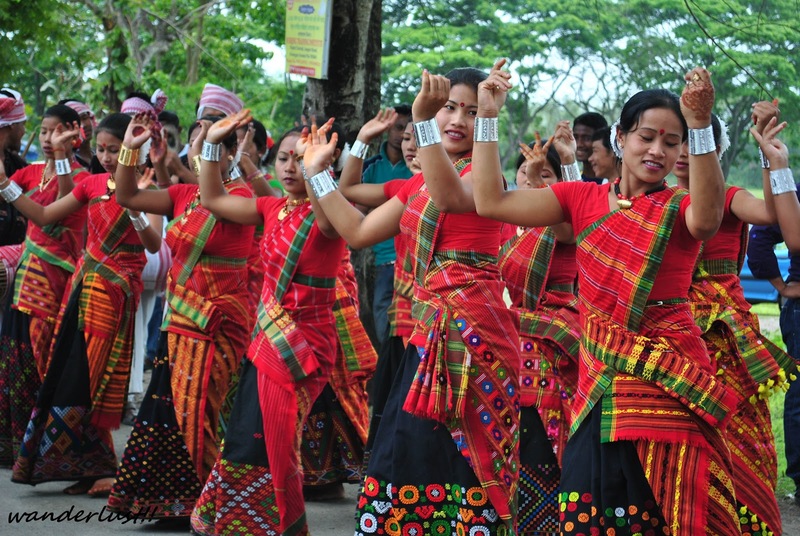 Bohaag Bihu is celebrated by the entire state as this is a cultural celebration and alludes to the harvest season. Bihu is derived from the Sanskrit word ‘Vishu’. It not only marks the beginning of the New Year but also signifies the beginning of the harvest season in Assam. The festivities of Bihu are spread over a period of seven days and each day is devoted to a special custom. Largely, the festival revolves around the preparation of special food items and celebrations that include the famous Bihu dance, which is a local form of dance. 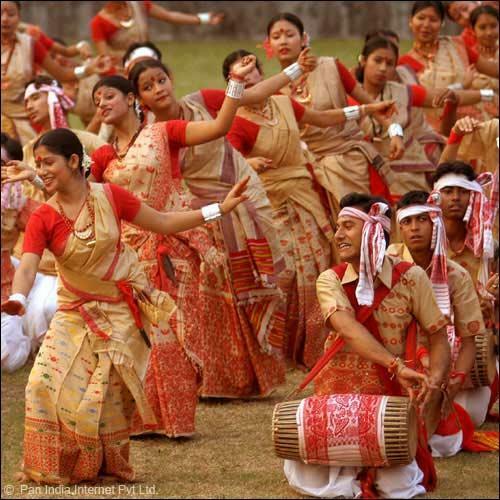 Known as Rongaali Bihu as well, the word Rongaali is derived from the Assamese word for joy i.e. Rong. The first of the seven days of Rongaali Bihu is known as the Goru Bihu and involves giving the cattle a bath while using soaps and herbs that are considered auspicious. The ritual is accompanied by a folk song. The following day is considered the most important day of Bohaag Bihu and commences the New Year. Special respect is paid to the elders of the family by giving them a towel called the Gamosa. This is one of the most important rituals and the towel is worn on the head and body. The Gamosa is a symbol of the highest respect in the Assamese community. The rest of the days of Bihu are known as Manuh Bihu, Kutum Bihu, Senehi Bihu, Mela Bihu and Chera Bihu. Another highlight of this festival is a bamboo hat known as the Japi. This hat is important as it symbolizes the importance of agriculture in Assam. Farmers wear a simpler form of the Japi while working in the fields. During the seven-day celebrations, Bihugeet or songs about the festival are sung, especially in rural areas. Many of these songs communicate feelings of attraction, love and romance among the younger members of the community. These folk songs are accompanied by traditional instruments like the Dhol, Pepa, Toka , Gagana and more. Bihu dance performances are also very common during these seven days. This was earlier a door-to-door performance, although community performances are more popular now.